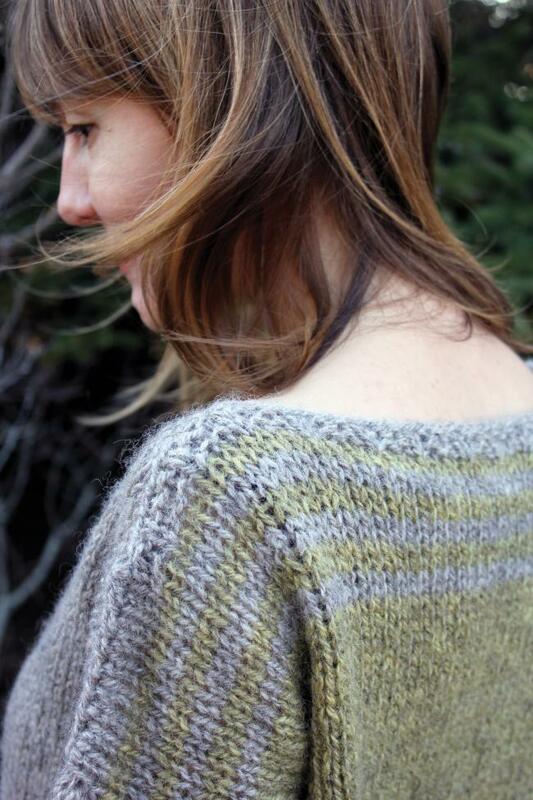 Hootenanny is a simple dropped shoulder pullover, knit back and forth in pieces and seamed. It’s all about the details with this boxy sweater: Garter rib lends a structured edge to the 3/4 length sleeves, high-low split hem and wide boatneck. The back is worked in a contrasting color, with subtle striping placed along the shoulders for added interest. Sizes: 36 (40, 44, 48, 52, 56)” actual measurement, to be worn with approximately 6″ positive ease. 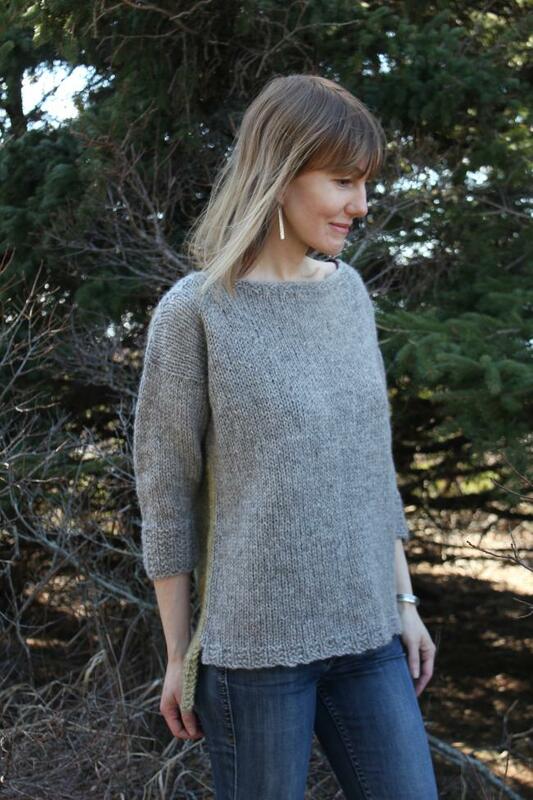 This easy pullover was designed with comfort in mind, both in making and wearing. The straightforward construction and simple use of color make Hootenanny a great project for beginners. 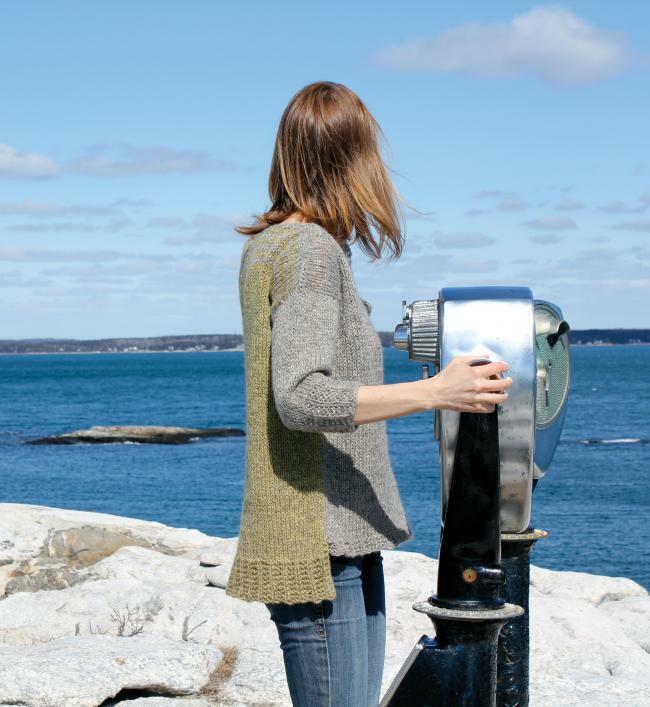 Experienced knitters will love how quickly this Aran weight project knits up – and everyone will love the flattering fit of this comfortable, cozy sweater. Hearty and beautiful Heirloom Romney yarn by Elemental Affects and Fancy Tiger by Elemental Affects has been a shop favorite since the day it arrived and we could almost smell the fresh hay and happiness! The lofty Romney fiber gives strength and warmth without weight and the colors are a feel-good palette of nature inspired hues. The slightly loose-spun 2-ply offers great yardage in a versatile gauge, and you can feel good knowing it comes from well-tended American sheep. The sheen and durability of Romney comes from its longer staple length, making it great for mittens, sweaters and other heavier outerwear styles. 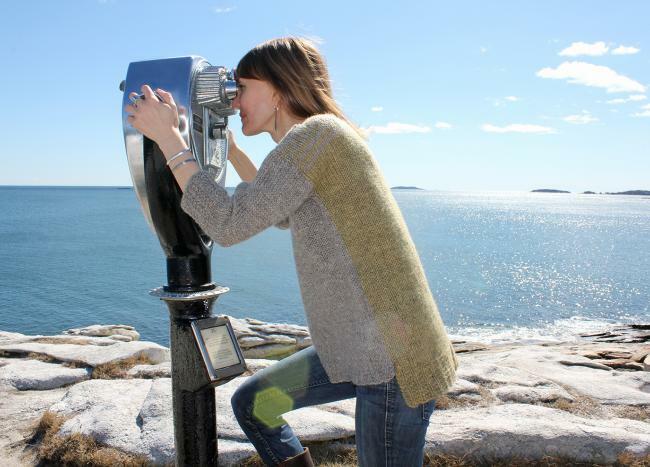 Works for many worsted to Aran weight styles, and has enough body to look good knit at a bulky gauge. Also really nice for a cozy woven camp blanket!